Successfully Added 6000 Lumen Cree LED Diving Torch - 4 CREE XM-L U2 LEDs, IPX8, 100 Meter Waterproof, 3 Light Modes, Aluminum Body to your Shopping Cart. Tough rugged aluminum alloy design ensure its protected against knocks and drops. It comes with a spare set of O rings and the torch is powerd by a 26650 rechargeable batteries (not included) that each bring 7200mAh of power for a reasonable usage time. Specifically made for diving it has an easy twist control that allows the light modes to be changed, even with gloved fingers. So no matter where you are its effortless to swap between the high, medium and strobe. 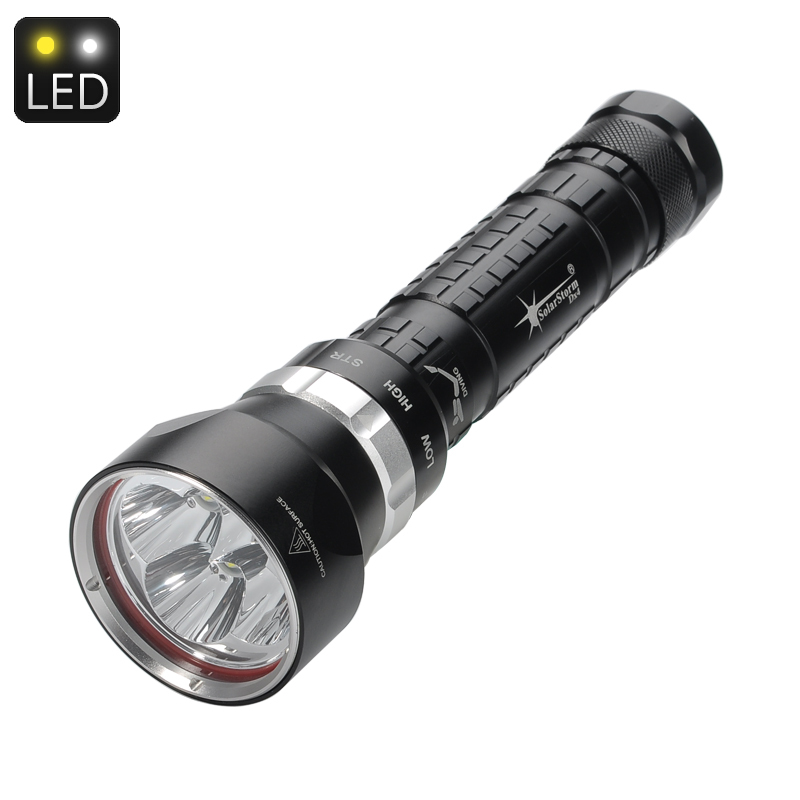 The 6000 lumen of light from 4 Cree XM-L T6 LEDs is provides ample light for your diving and outdoor needs. A wrist strap comes included with the torch as well as a battery charger so you have everything you need for your next outdoor adventure or night time dive. This LED diving torch comes with a 12 months warranty, bought to you by the leader in electronic devices as well as wholesale LED flashlights..